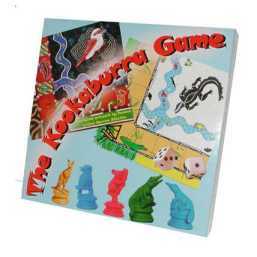 The Kookaburra Game it's a fun boardgame ! 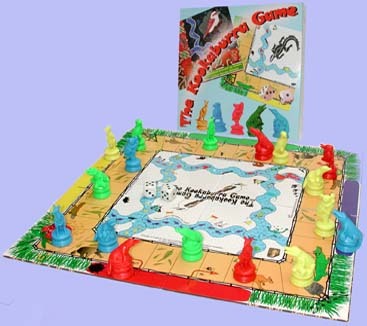 The game board is DOUBLE-SIDED. The aboriginal side of the game. 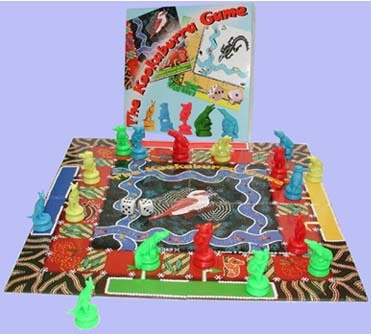 It has been made by famous Sydney artist Darren Ritchie The cartoony side of the game. It symbolise the Australian bush and contains plenty of Australian icons. I want to Order now ! 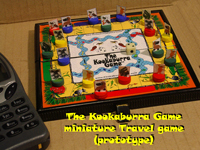 We also have a prototype of a miniature Travel game. Register your interest by emailing us !